As previously posted, we moved and are finally having our official studio opening! Please join us for this event. 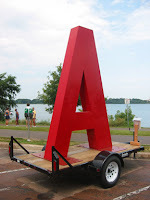 We're hoping the Big A will make an appearance so look for that symbol outside of the building. There is free parking in front of the building and in the lot to the left of the building. If you can't figure out the map, or need specific directions, let us know. The studio is in the basement. Take the stairs through the door on the right, immediately when you enter the building. At the bottom of the stairs, hang a right and you'll see us there! We will have light refreshments and are finalizing the entertainment for the evening. More information will be posted later. 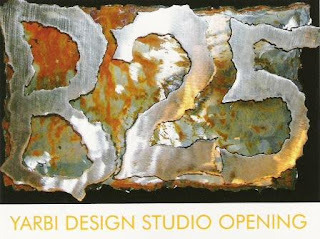 In the future, the studio will be open to the public and by appointment. Hope to see you and your friends! (c) Rabi Sanfo. Simple theme. Theme images by Ollustrator. Powered by Blogger.